As part of the DC New 52 event, the Green Lantern Corps return, led by fan favorite Lanterns Guy Gardner and John Stewart. 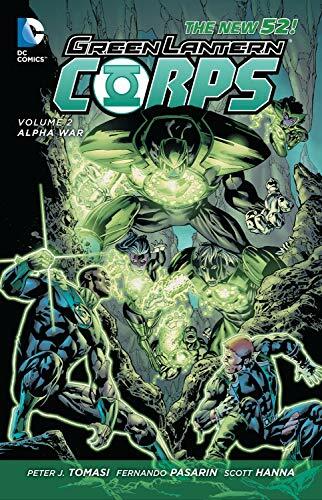 When the Alpha Lanterns, an internal police force for the Corps, arrest Green Lantern John Stewart for the murder of a fellow Lantern, it sends shock waves throughout the entire Corps. 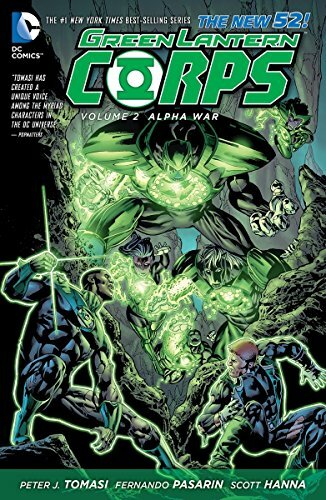 It is up to Guy Gardner and the rest of the Green Lanterns to break Stewart out and bring down the emotionless Alpha Lanterns. Peter J. Tomasi, a life-long New Yorker, is an NYU grad with degrees in political science and filmmaking. Peter has helped re-imagine many characters and books over the course of his extensive and exclusive career at DC Comics as a writer and editor. Peter's newest projects are Batman & Robin and Green Lantern Corps, both a part of DC Comics—The New 52. His previous works include Brightest Day Green Lantern: Emerald Warriors, Batman: Blackest Knight, The Outsiders, Nightwing, Phantom Stranger, Black Adam The Dark Age and Final Crisis: Requiem.